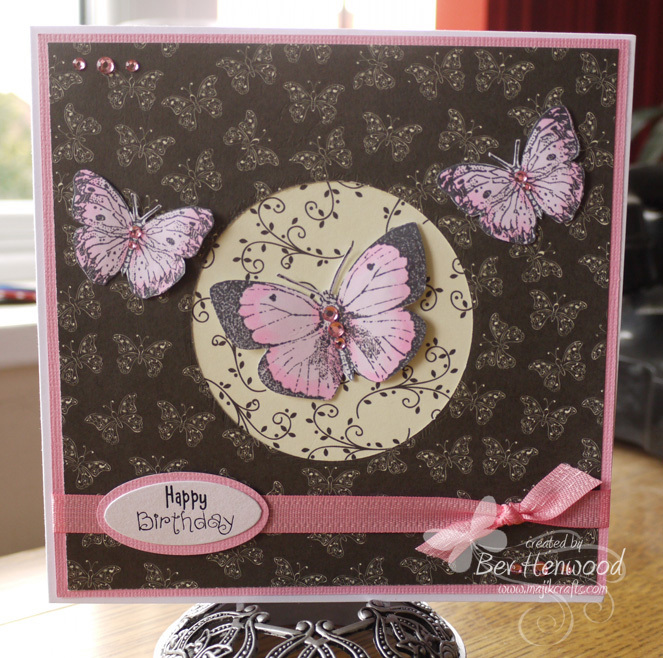 Majik Crafts: Just Fluttering By! This is so pretty. Beautiful butterflies and love the papers. Hi Bev... oooh this is gorgeous... love the beautiful delicate butterflies and the gorgeous pink and brown colour scheme!! Sounds like you had good service at Storage4Crafts... always good to know of companies that do well! Oh what a gorgeous card and love the beautiful butterflies. Blog when you can, I can blog each day but that doesn't mean thats the norm or that you have too. Which is why I use the dashboard on blogger which lets me know whose posted. 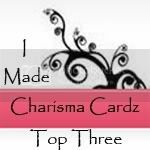 Please don't feel pressured to blog each day many talented crafters have stopped blogging and even cardmaking cos they felt they could keep up. I rather see a beautiful card now and again then not at all. Leture now over! This is a gorgeous card. I really love butterflies, and I like the colours you used!! I am pleased that things are settling down a little bit for you now with regards your MIL. It takes a lot to sort all of these sort of things out doesn't it. Loving the card you have posted. Those butterflies are gorgeous. Well done on the storage swap too. So good to hear of excellent customer service! Hope you haven't had too much snow. 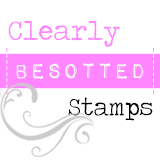 Hello Bev, I have just spotted your gorgeous card and I feel so honoured that my card inspired you. I love the colours you have used and the gorgeous ribbon.